First, learn to cross the street without getting hit by a horde of motorbikes. 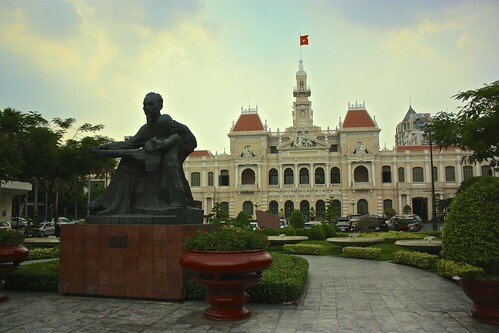 Then, explore the rest of Saigon's vibrancy and bloody history by taking a walk through District 1 and a day trip to the Cu Chi tunnels. You can spend a day or a week here without being bored, so the biggest question is what you want to do and how much time you have. For the first time in our trip, we had a visitor, which meant we were on a bit of tight schedule. Our friend Dean joined us from San Francisco for two whirlwind weeks in Vietnam. With not a minute to spare, we got started. 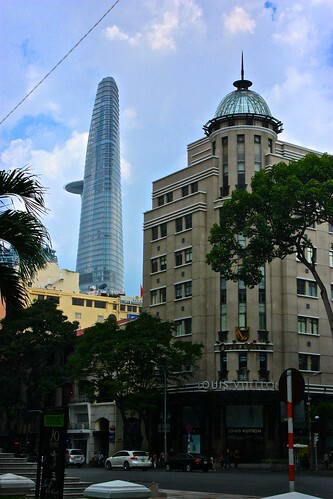 The most exhilarating activity in Saigon is simply making it across the street in one piece. Once you've mastered that and your breath has returned to its normal pace, you can check out other attractions, such as the Reunification Palace, the War Remnants Museum, Notre Dame Cathedral, Ben Thanh Market, the old Opera House, and the Jade Emperor Pagoda, with its terrifying statues and turtle pond. This circuit makes a nice daylong walk, with plenty of smoothie carts along the way to quench your thirst. Not only can you rest in AC, but you can also try out one of the many massage chairs—for free! The place we spent the most time is the War Remnants Museum (15,000D), which does not paint America in a very positive light. 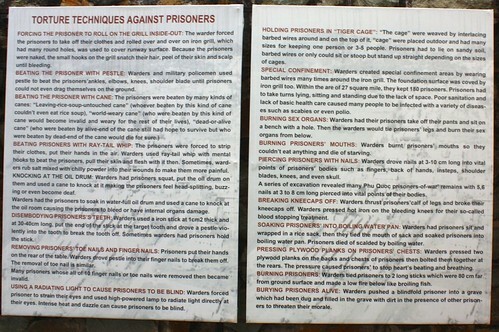 Many of the signs were downright propagandist, but you couldn't argue with the pictures, especially when it came to the lasting effects of Agent Orange. I was glad I didn't have more for lunch, because grotesque doesn't even begin to describe what some of the people affected by this "herbicide" are suffering. In addition to this exhibit, there was also a room of photographs by Western photographers that ran in LIFE Magazine and other international publications. These showed both sides of the war, but didn't hide the fact that it was an incredibly bloody conflict that was bad for both sides. The museum is definitely a worthy stop, though it's not a fun one. The most popular day trip out of Saigon is the Cu Chi tunnels, where the Viet Cong rebels managed to hide from the Americans for the entirety of the war. 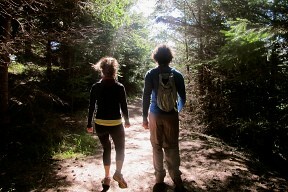 The only real way to get there is with a tour, which is typically 100,000D. We just booked with our guesthouse. Once you're there, it's another 90,000D to get in. There are actually close to 250km of tunnels, but the ones in the protected area of Cu Chi are the only ones you can access. It's pretty nuts to see how small the tunnels are, and everyone's favorite (or least favorite) activity is attempting to crawl through. Even 100 meters seems impossible as the only way to do it is in a yogi squat. I learned the hard way that it doesn't come out clean. The Viet Cong rebels didn't live in the tunnels, as they were mostly peasants and farmers in the nearby Cu Chi area who returned home at night. 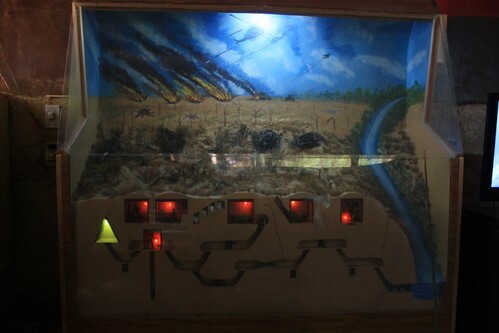 Instead, they used the tunnels as a way to get around, set traps, and escape enemy fire. There were meeting rooms, clothing repair areas, weapon making areas, and a kitchen, but mostly the tunnels were used as underground highways. The soil at Cu Chi is almost all clay, so the tunnels were incredibly durable. Even a dropped bomb only ever penetrated the top of the first level, and did nothing to the people hiding on the second and the third. Despite America's best attempts (and despite having bases nearly on top of the tunnel network), they never managed to find the tunnels or get the rebels to give away their position. One of the interesting facts we learned is that American soldiers often tried to flush the Viet Cong out by flooding any holes they found in the ground. What they didn't know is that the tunnels all led out to the Saigon River, so instead of hurting the Viet Cong, all the Americans did was cool them off. The whole place is very touristy, with the mannequins wearing uniforms they never wore and being closer in size to their Western counterparts than they ever were, but despite this, it's definitely an interesting trip. This sort of defeats the purpose of seeing how small they are, so try to get to an original part to do your crawl. We stayed at Long Hostel at the edge of the Pham Ngu Lao backpacker area. For $18, we had a pretty nice room with a small balcony and free breakfast. The Long family was also extremely sweet and welcoming, giving us iced tea and bananas when we arrived and tons of information before we set out to explore Saigon. They speak English and are prompt in their replies. There are plenty of tourist restaurants in Pham Ngu Lao, and all of the food we tried was good, though a tad overpriced. We visited two pho places—Pho 2000, where Bill Clinton ate when he visited Vietnam, and Pho Quynh, where Rob and Dean both had the pho bo kho, a stew-like broth with beef and noodles. 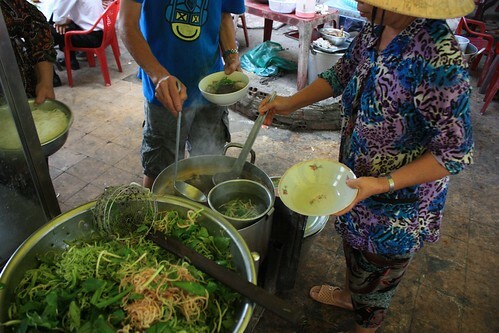 Rob was disappointed in the lack of interesting street food after Can Tho, though we did make it to the Lunch Lady for her famous soup, which was really yummy (even without the meat!). Unfortunately, she'd recently been featured on Anthony Bourdain's new show, so her stand was packed. Still, despite the newfound popularity, our two huge bowls of soup (one packed with three kinds of meat) and shrimp spring rolls came out to a whopping grand total of... 70,000D. The main thoroughfare through the backpacking area is packed with plastic tables and chairs facing the street, on which both locals and backpackers enjoy bottles of Saigon beer for 12,000D. We were looking for something a little different, and headed up to the rooftop bar at Duc Vuong Hotel. The beer there was the same price, but it came with a snack, a shot, and an awesome view. We also finally understood what the strange platform sticking out of the fancy building was—a helipad on which no helicopter has ever landed. We walked around Saigon, which is pretty easy to do if you're sticking to the main areas of the museum and the palace. If you do take cabs, be sure that the meter works and try to keep on eye on which direction the driver is going. They tend to do circles to run up the cost. We booked a bus to Mui Ne for 135,000D each. It was an uneventful but long trip as the bus driver kept alternating between going 80 and 10km/hour. 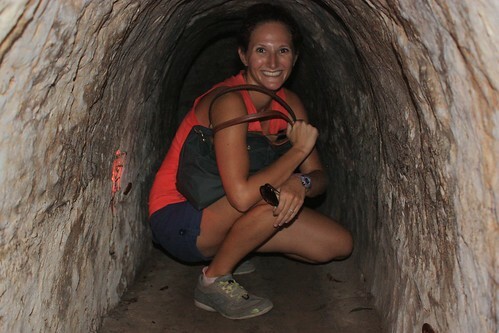 Interested in seeing the Cu Chi Tunnels and Saigon without paying for a plane ticket? Check out our Saigon photo tour. 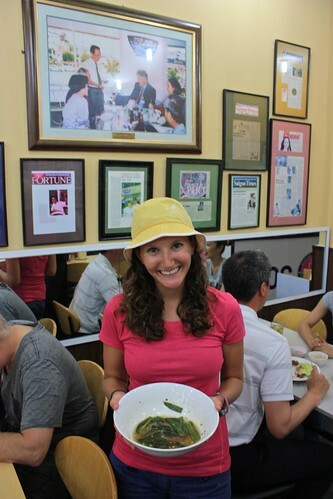 Share backpacking tips for Saigon by leaving a comment!